Houston CityPlace Marriott at Springwoods Village is located at 1200 Lake Plaza Dr. next to the CityPlace Plaza at the eastern end of CityPlace, a 60-acre mixed-use district in Springwoods Village. The 10-story Marriott property is the first full-service hotel in Springwoods Village. SPRING, TX—CityPlace Marriott at Springwoods Village is now open and accepting reservations for rooms, special events and dining. 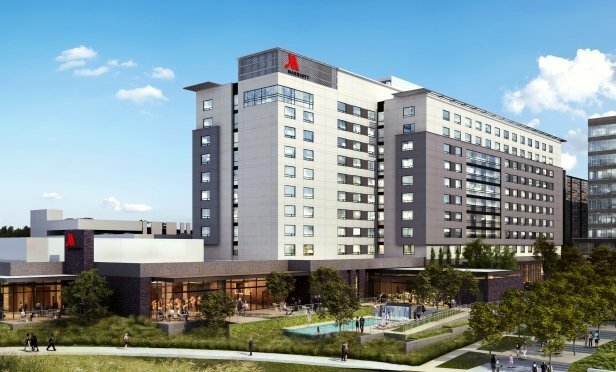 The 10-story property is the first full-service hotel in Springwoods Village, and the third hotel in the North Houston master-planned community, in addition to Courtyard by Marriott and Residence Inn by Marriott.